MAGNETIC CYLINDER SQUARES by Suburban Tool, Inc. Designed to easily check squareness on component parts. Base is perpendicular to shaft within 0.0001" over the length of the square. Magnetic base eliminates clamping distortion and speeds set-up. 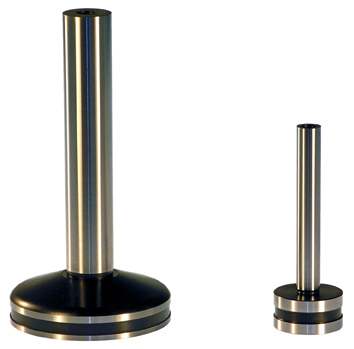 Manufactured from steel selected and normalized to insure stability and uniformity.